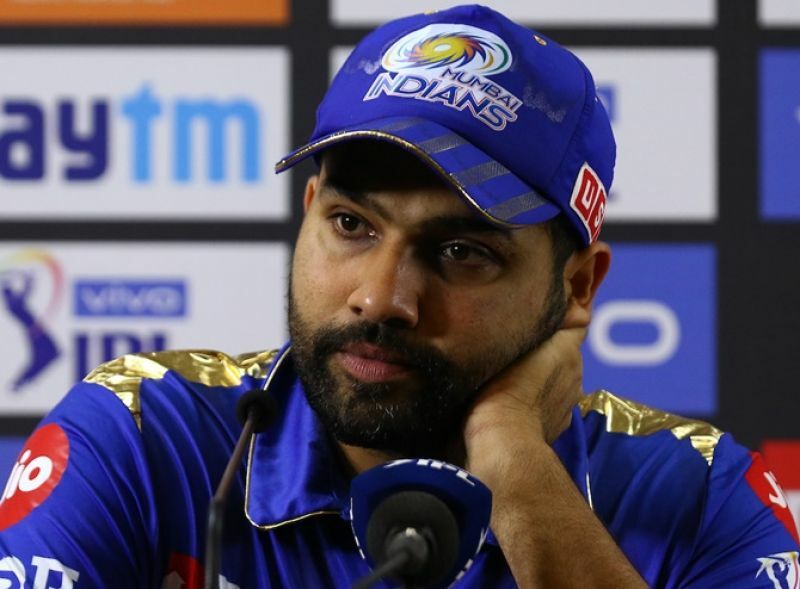 Mumbai, Apr 11: India vice-captain Rohit Sharma missed out the IPL match against Kings XI Punjab due to a leg injury but his Mumbai Indians team-mate Kieron Pollard said it was just a "precautionary measure" and he should be back in the next game. In an injury scare five days before the World Cup team selection, Rohit sat out of Mumbai Indians' IPL match last night after sustaining a leg spasm during Tuesday's training session. It was the first time that he had missed an IPL game in 11 seasons. "Obviously, Rohit is the captain of the team and it was only a precautionary measure for the team. He should be back in the next game," stand-in skipper Pollard said after leading MI to a last-ball three-wicket win over KXIP. "I would gladly give it back to him and field at the boundary, while also thinking of what to contribute to the team." Pollard smashed a whirlwind 83 off 31 balls that contained 10 sixes and three fours to take Mumbai on the doorsteps of victory and Hardik Pandya described the big-hitting West Indian as a legend. "Heart is pumping pretty fast. Pollard is a legend! One guy who could do this, it was Kieron Pollard.. That time and situation needed, both of us had to go for it but I could not connect much," Pandya said. "Pollard was backing himself and for the first time in my life while sitting outside I thought 17 per over is a par score. It was still better from the situation we started off from. If Polly was there, he could have finished it off one ball and obviously we didn't have any set batsman. Four runs, four balls I thought we got this game." After Pollard was dismissed in the second ball of the last over, it was Alzarri Joseph (15 not out), who took MI home, chasing down Kings XI's target of 198 off the last ball.